Most folks grew up with the neighborhood garden center. Remember those? Local folks sold flora guaranteed to bloom where it was planted. Season ended for many of those local garden centers in the ’80s and ’90s, as big-box retailers came to the fore, often offering plants to the public at prices less than what those local retailers were paying wholesale. 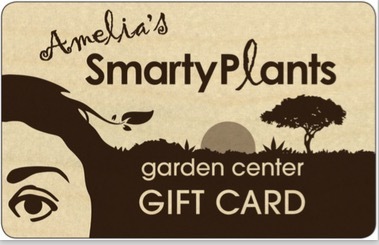 But big-box retailers aren’t for everyone, and that’s where SmartyPlants comes in. The Lake Worth store takes a Zen approach to garden centers, courtesy of owners Paul Harding and Marta Edwards. New Age music plays in the background as wind chimes catch the breeze. Water splashes in the fountains as customers stroll among the plants. You can design your own space, or you can call on SmartyPlants to do it — the firm designs and maintains landscapes across South Florida. Mr. Harding and Ms. Edwards took a break to share tips. What tips would you offer customers to begin the process of decorating with plants? Landscaping is truly decorating with plants and it is like anything else — there is a learning curve if this is something new to you. It is important to select a landscape theme that is congruent with the style of the house to be landscaped. Drive around to get ideas or the feel you want and determine how much maintenance you are willing to undertake. Explore Florida’s native plants as alternatives and consider creating a garden that brings butterflies and birds to your yard. What are some questions clients should ask before spending a lot of money on plants? The old adage “right plant, right place” is so important. Are the plants you like appropriate for the exposure and conditions throughout the day? Are those plants susceptible to pests? Also, when and how to properly prune and fertilize is important to know and implement so your plants will perform and meet longterm expectations. Is there a favorite trend in tropical plants right now? Tropical plants have always been popular and will continue to be popular especially for people who live here seasonally. They want lush colorful gardens, and who can blame them? For Floridians, there is a definite increase in desire to create butterfly gardens. Numerous people come in asking for butterfly host and nectar plants which is wonderful. We see a less steep trend but a noticeable one to create gardens that incorporate South Florida native plants in the landscape — they require less care in the long run than their tropical counterparts. And finally, a markedly upward trend can be observed in decorating with succulents. This can be a challenge in South Florida during wet summers, but it can be done. Succulents perform especially well during hot dry summers like we have been experiencing. Which trends are you glad to see go away? Sod! We are seeing more and more people give up on sod after replacing patches of their grass or replacing the entire yard multiple times. People say, “I want to sod the yard because I want low maintenance…” but this is inaccurate. Sod and low maintenance in the same sentence is an oxymoron. Sod requires regular water, regular fertilizer, herbicide and pesticide applications plus weekly mowing, which is a lot more than many shrubs or ground covers need.